Study findings underscore an urgent need for ongoing research on CVD risk stratification and prevention strategies in HIV. A higher percentage of patients with HIV who were not recommended for statin therapy experienced cardiovascular disease events compared with patients in a control group, and less than 50% of patients with HIV who were recommended for statin therapy received a prescription for one, according to a study published in Open Forum Infectious Diseases. Patients with HIV have an elevated risk of cardiovascular disease, but there is limited information on how to apply the American College of Cardiology/American Heart Association (ACC/AHA) cholesterol guidelines for these patients compared with patients without HIV. For the current study, researchers analyzed data on patients with HIV (n=1394) and a demographically similar control group (n=6141). Both groups were assessed by the ACC/AHA guidelines and the older National Cholesterol Education Program Adult Treatment Program III (ATPIII) guidelines for statin status, statin prescription, and cardiovascular event. Study outcomes were coronary heart disease and atherosclerotic cardiovascular disease for ATPIII and ACC/AHA, respectively. Patients with HIV were less likely to receive statin prescriptions compared with patients in the control group (22.0% vs 33.7%, P<.001). In the cohort of patients with HIV, 20.1% (95% CI, 18.1%-22.3%) were recommended for statin therapy by the ATPIII guidelines compared with 38.6% (95% CI, 36.1%-41.2%) by the ACC/AHA guidelines. Rates of written statin prescriptions were 66.4% (95% CI, 60.7%-71.7%) for the ATPIII guidelines and 42.8% (95% CI, 38.6%-47.0%) for the ACC/AHA guidelines. Of the patients in the HIV group with observed cardiovascular events, 59.2% met the criteria for statin use under ACC/AHA guidelines compared with 35.2% under ATPIII guidelines. Of the patients in the control group with cardiovascular events, 71.6% met the ACC/AHA criteria for statin use and 43.1% met ATPIII criteria. 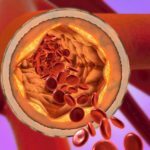 Researchers also found that less than 50% of patients who met ATPIII criteria for recommendation for statin therapy were prescribed such treatment—highlighting that individuals with traditional, modifiable risk factors for cardiovascular disease were not receiving guideline-recommended preventative therapies.